Hey guys, I’ve been without internet for over two weeks, but I’m back now. I guess I have to start off with a write-up of the Play Expo. It went really well! Not a single thing went wrong! EBF5 never crashed. Both days it ran non-stop for 8 hours without any problems, which was pretty cool, but also what I would have hoped for since the demo was just the most basic parts of the battle system. On the second monitor I had my YouTube videos of EBF5 running on loop forever. The audience was a bit different from what I expected. EGX in England was mostly for gaming enthusiasts, but while this event still had some of those, it was generally much more casual and family oriented. There were a lot of really young kids, but also a lot of parents and grandparents who weren’t even into video games at all. I ended up showing off EBF5 to a huge variety of people, and it was a very educational social experience for me. I learned how to talk to kids, disabled people, and a lot of very socially-awkward people. I’m glad I had EBF5 configured in work-safe mode, and I’m happy I made that option available in the first place. Bouncing anime breasts were not out of place at the event, but I think it would have been a bit awkward with the game’s default settings, especially when young girls came to play. A related point that surprised me was the lack of PC gamers! 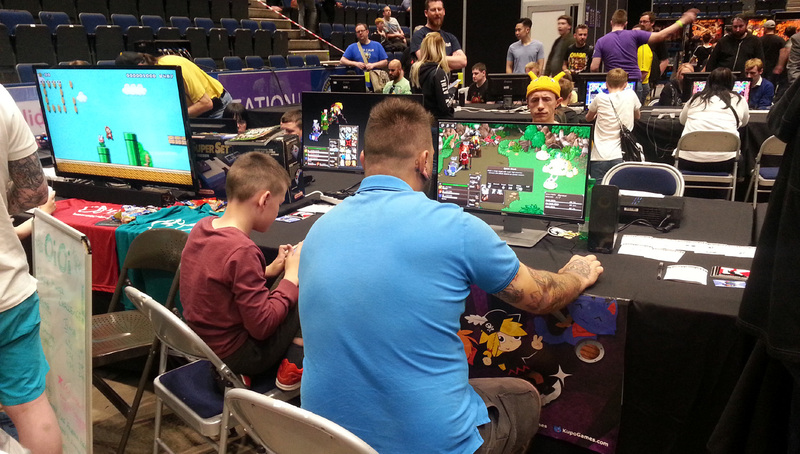 I think EBF5 was one of the only mouse-controlled games there, and a lot of kids were confused when they couldn’t find the controller or keyboard. Quite a few people had trouble using the mouse accurately, and double-clicking when single-clicks were fine. But besides that people picked up the game very easily. I just told them to pick commands and hit the baddies, and that was all they needed to know really. I only intervened to tell them how to heal when their health got low. 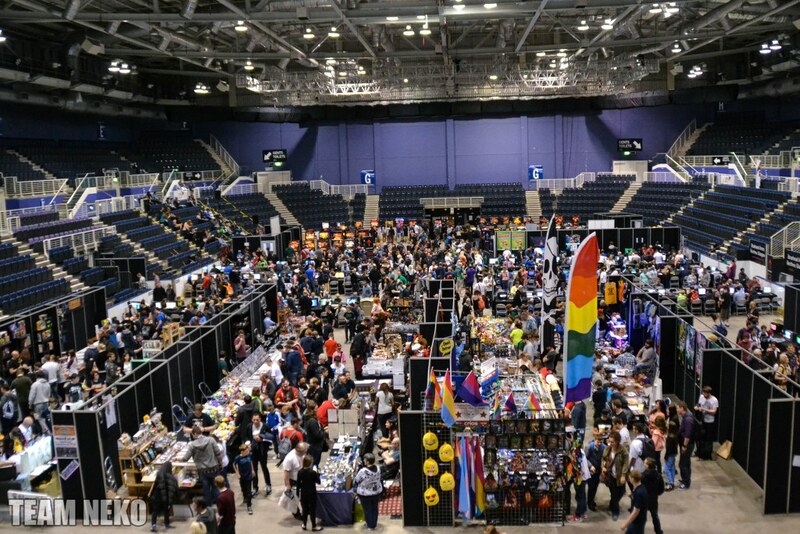 Besides all that we also got to know some of the other exhibitors, including Mega Cat Studios, who make modern NES games, Wrench Games who make card games, and Oi Oi Games who are a store for retro games (their Mario Maker stall dominated the area at first and sort of overshadowed us – not fair!). I don’t think there was anyone particularly famous there – there wasn’t even any official presence from the big gaming companies. It was all quite local and modest. A reporter from The Sun talked to me briefly, but in the end I don’t think he actually wrote anything about me. I had around 5 people tell me they were fans of the EBF games, and another 5 or so who said they’ve probably played them at some point in the past. So that’s not bad – I’m not a total nobody! 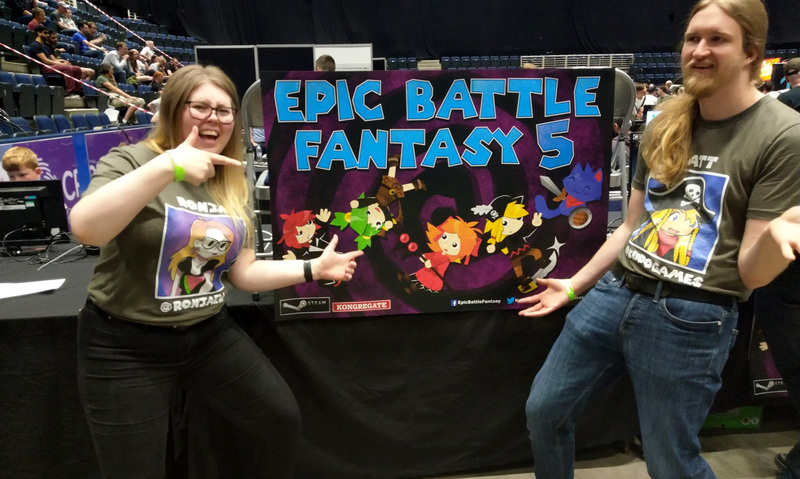 This entry was posted in Epic Battle Fantasy 5, Personal Life, Thoughts and Opinions on June 25, 2018 by Matt Roszak. 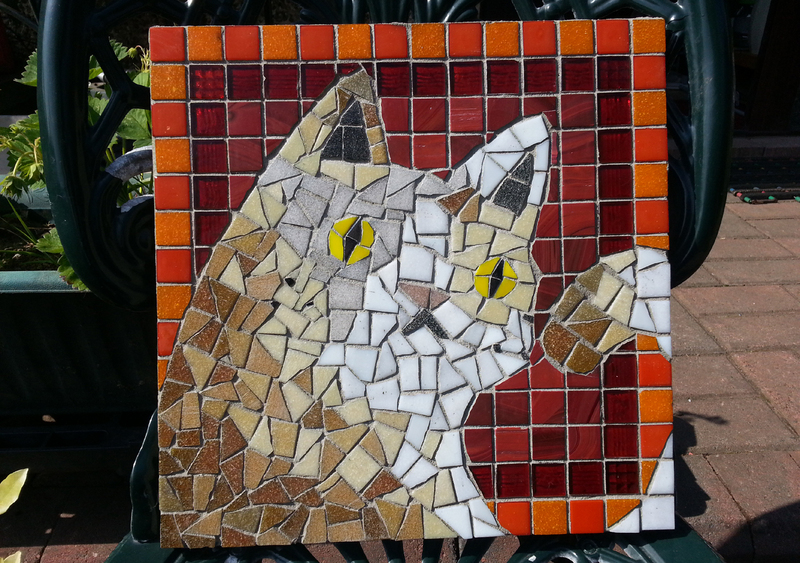 Here’s the last of the mosaics, and that’s me done with all of my arts classes for now. I’ve finished preparing for the Play Expo. Spent a grand total of £80 on it, including cards, posters, and t-shirts. I made a very restricted version of the Battle Demo for people to play for 10 minutes. I’ll let you know later how that all goes – we’ll see if my cheapo stall ends up looking at all professional. It’s been quite a chill week with very sunny weather and lots of relaxing. Also, I own a house now! Me and Ronja are moving in tomorrow! This entry was posted in Misc Art, Personal Life on June 4, 2018 by Matt Roszak. 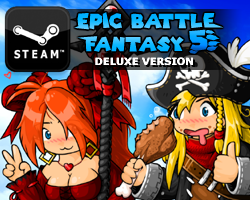 Hey guys, all the battles in EBF5 have been defined. Most of what’s left to do is stitching all of the parts together, the title menu, tons of testing and balancing, translations, and the final boss. Then after that there’s still some promotional stuff like trailers and store pages etc. But it’s getting there. People who have volunteered to translate are getting a bit impatient, but I’ll get round to contacting you soon-ish. Still need a month or so before I’m ready to organise that. I was supposed to be buying a house, but the seller is having trouble moving, so that’s been delayed. I’m moving back in with my parents for now – hopefully not for too long, but who knows. Maybe it will be a chance to take a break from work. But while that’s happening, you guys can tell me what you want from Newgame+ in EBF5. Like usual, I don’t want to put much work into it, but I do want it to be a fun way to replay the game. Did you prefer it in EBF3 where you could just rush through the game again with super powerful players? 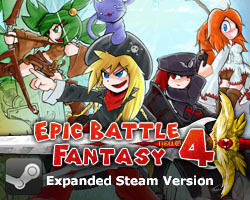 Or did you like EBF4′s version where monsters got much stronger and you could keep levelling up for longer? If I do that again I’ll have to balance it a bit better. In other news, I’ve been suffering quite heavily from nostalgia lately, and have been playing lots of games on Kongregate and Newgrounds again – old stuff and new. I’m probably too young to feel this way, but it feels like a huge part of my life is over. Flash games and whatever replaces them will still be around, yet I feel that some of the magic is gone, now that they’re no longer the cutting-edge of the creative space. I feel like the old man who doesn’t like what kids these days are into, because I had better entertainment in my day. Oh well. 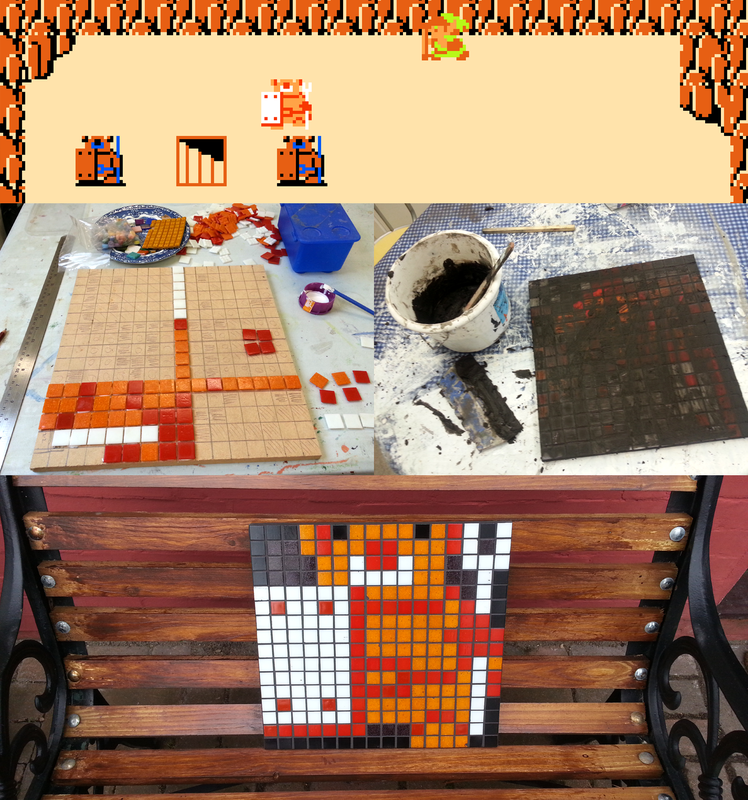 Maybe I’ll just have to keep making games in my style and prove it. I read through my EBF4 postmortem, and I really need to update that soon. Back when I wrote that I felt like EBF4 was a failure and that I didn’t have much future making PC games, but since then EBF4 came out and Steam and was hugely successful there. Now my problem is that EBF4 might have been the height of my career and I won’t manage to make another game that’s so successful. That’s a bit silly of thing to worry about, I suppose. I really need to blog more. It’s very therapeutic and a nice way to connect with people. I’ve got a few long ones that I’ve been meaning to write for a while, so maybe while I’m stranded at my parents house I can write some of those. I know I’m not the best at replying to comments, but I do read them all and appreciate them. This entry was posted in Epic Battle Fantasy 5, Personal Life on May 21, 2018 by Matt Roszak. My pottery classes are finished and here’s the final results. I didn’t quite manage to make a Zelda pot, but some of my bowls turned out okay. I guess I can use some of them for snacks. I’m not very happy with the figures though. Making them bigger would have made them a lot easier to paint neatly (the tallest are about 2 inches). Also you really need some practice with the glazes to see how they turn out, as only the black came out as thick as I wanted. 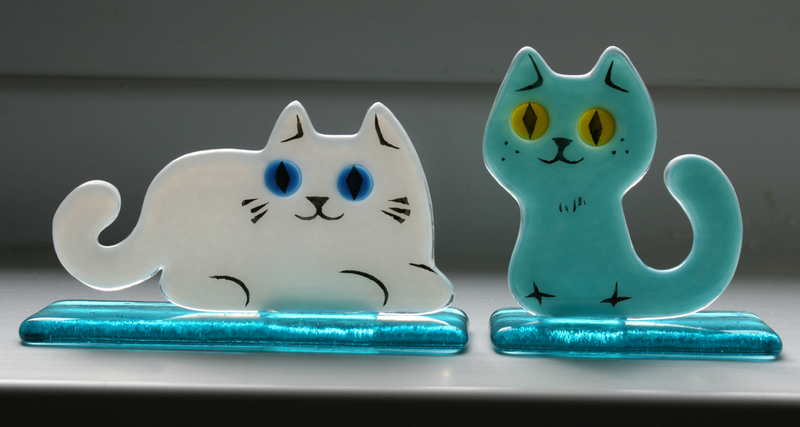 I’d like to try using coloured clay at some point to make figures again. I think skipping the step of painting might lead to better results for me. This entry was posted in Misc Art, Personal Life on May 20, 2018 by Matt Roszak. Hey guys, here’s the result of my first few pottery classes. I’ve basically made myself some Halloween decorations! I’m not a big fan of this medium so far. It just feels too imprecise for me. There’s no way of knowing exactly how the glaze/paint will turn out, even if you’re experienced with it, making painted details very tricky. 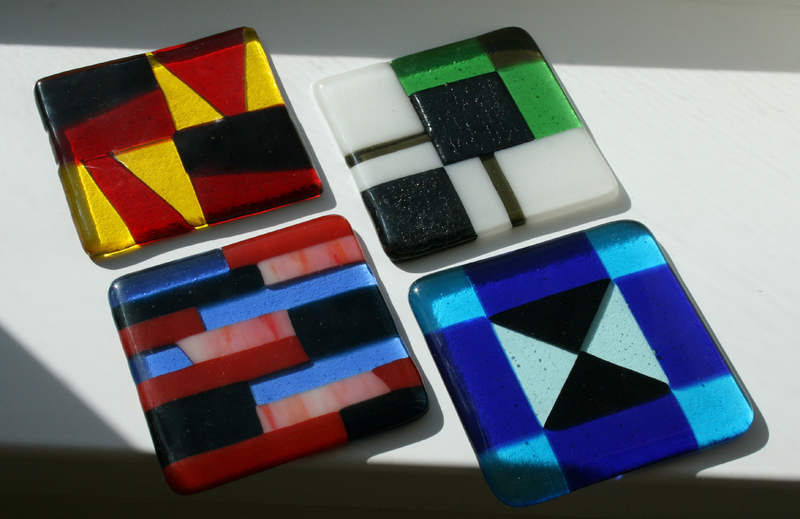 One has to stick to more abstract designs to make the most of it I think. Maybe I just need to play around with it more and see what works for me. This entry was posted in Misc Art, Personal Life on April 21, 2018 by Matt Roszak. 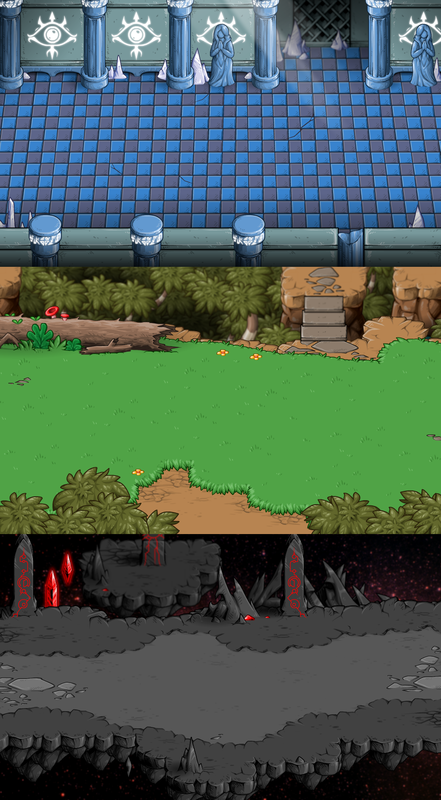 Here’s another bunch of backgrounds! My trip to London and the Rezzed expo was cool. I collected a lot of stickers and met a bunch of people, and saw some neat games – but will probably never play most of them due to my already huge wish list. The venue the event was hosted at was an old dock (it was pretty cool) and the event was largely focused on indie games. I’ll likely go again next year. I also visited the Imperial War Museum and the Tate Modern, with the former being a really cool historical collection of vehicles, weapons, and propaganda, and the latter being a lot of space wasted on crap modern art. This entry was posted in Epic Battle Fantasy 5, Personal Life on April 18, 2018 by Matt Roszak.